Sony PXW-FS5M2 / PXW-FS5M2K all-new default look is specifically tuned to meet the requirements of today’s content creators with rich mid-range colours, alluring facial tones and a softer tonal look tuned with the same expertise as Sony’s world-leading VENICE digital cinematography camera. Straight out of the camera your content will look fresh and vivid, with subjects that really stand out, while still retaining plenty of latitude for post production refinement due to the high performance Super 35 ExmorTM sensor. Standing out from the crowd isn’t easy. 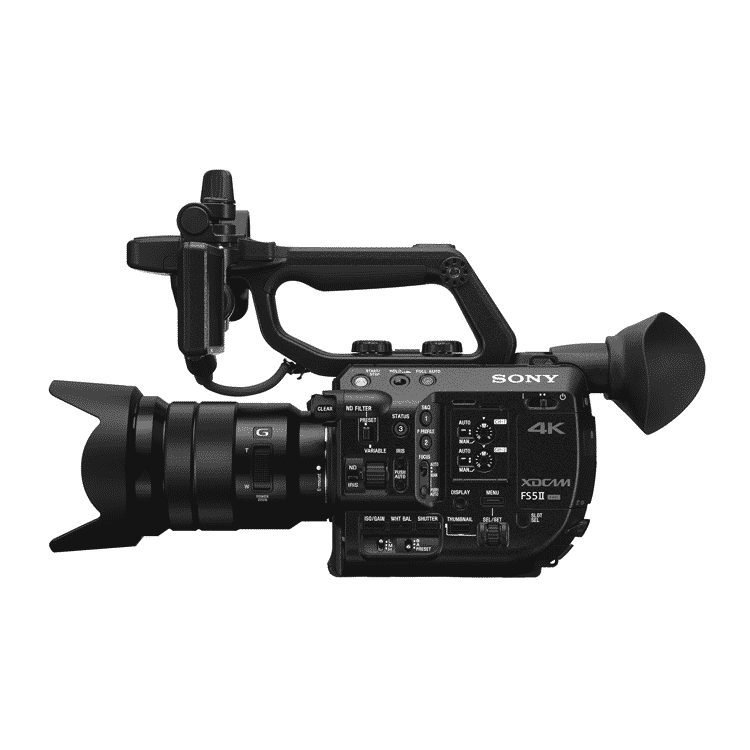 FS5 II makes it easy with complete creative freedom: slow down time with phenomenal high frame rates up to 120fps in 4K and 240fps 2K/Full HD. Deliver spectacularly vivid HDR imagery with a choice of HLG and S-log2/3. Lightweight but robust, FS5 II is an endlessly adaptable camcorder for capturing breath-taking imagery anywhere the action takes you. Its modular design makes it easy to reconfigure for any application including mounting on a gimbal or drone. 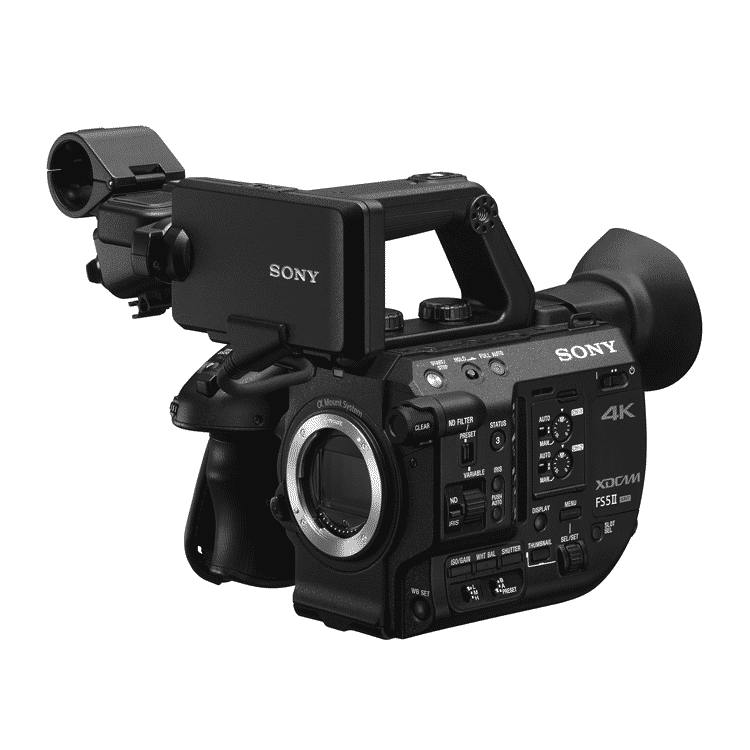 Sony PXW-FS5M2 / PXW-FS5M2K delivers stunning slow motion imagery, including four seconds of 120fps in 4K, continuous 240fps in 2K RAW when used in partnership with a compatible third-party external recorder, such as the ATOMOS Shogun and Convergent Design® Odyssey 7Q. 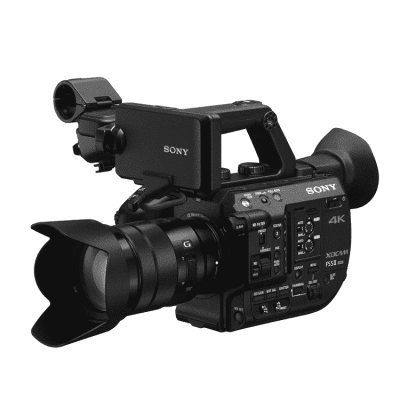 Sony PXW-FS5M2 / PXW-FS5M2K also offers High Frame Rate (HFR) cache recording at Full HD 10bit 4:2:2 image quality and a frame rate of up to 240 fps. 8-second cache recording on to SDXC card means no more mistimed shots leading to extra takes. It also lets you pick out footage at exactly the point that you want. 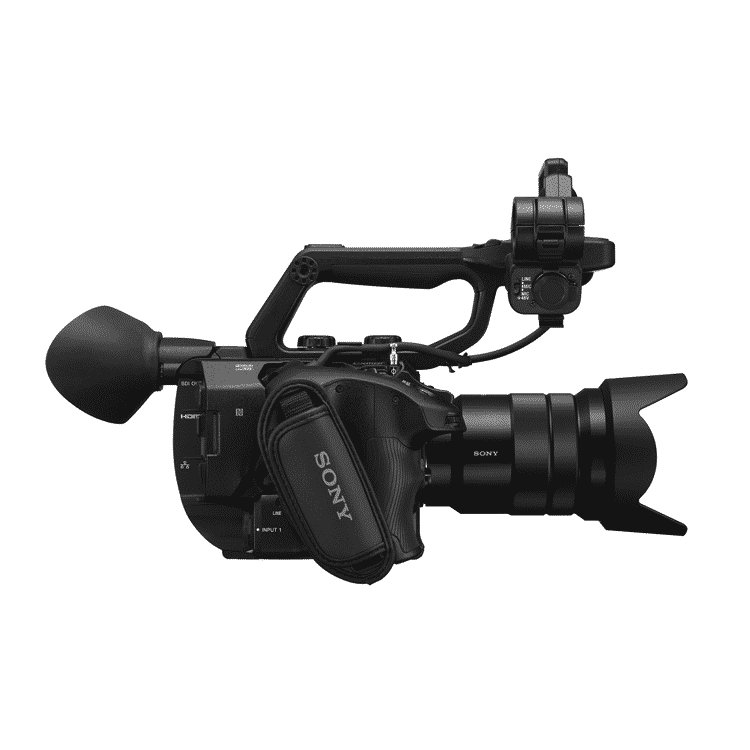 FS5 II also records continuous 120fps internally in Full HD. Higher frame rates of 480 fps and 960 fps are possible at specific resolutions. Demand for HDR content is increasing and FS5 II offers you a choice of two powerful workflows. Whichever option you choose, a phenomenal fourteen stops of exposure latitude ensures the highest fidelity in capturing highlights and details within shadows. • Instant HDR Workflow is all about speed. Shoot, edit and view content in Hybrid Log-Gamma (HLG) to deliver content quickly without compromising on imaging expression and quality of content. • S-Log2/3 is the proven choice for premium applications where you wish to capture as much data as possible for the ultimate flexibility in grading. 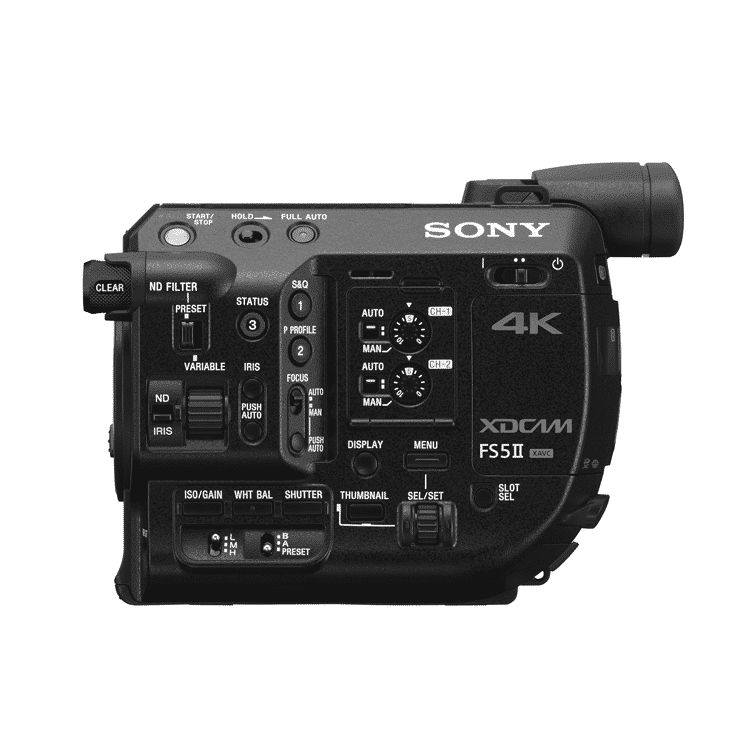 Sony PXW-FS5M2 / PXW-FS5M2K is built around a high-sensitivity 4K Super35 ‘Exmor’ CMOS Sensor that offers all the benefits of a large format sensor in combination with the exceptional image readout speeds required for 4K motion-picture shooting and super slow motion. 4K resolution: 11.6 million total pixels and 8.8 million* effective pixels deliver 4K resolution. Even if you’re delivering in HD, your recordings will capture detail and image texture that HD sensors simply cannot see. Super 35 size sensor offers ‘bokeh,’ the defocussed backgrounds made possible by shallow depth of field, as well as excellent low-light sensitivity and an expansive field of view. 14 stops of exposure latitude deliver powerful grayscale rendition without crushing shadow detail or blowing out highlight detail. 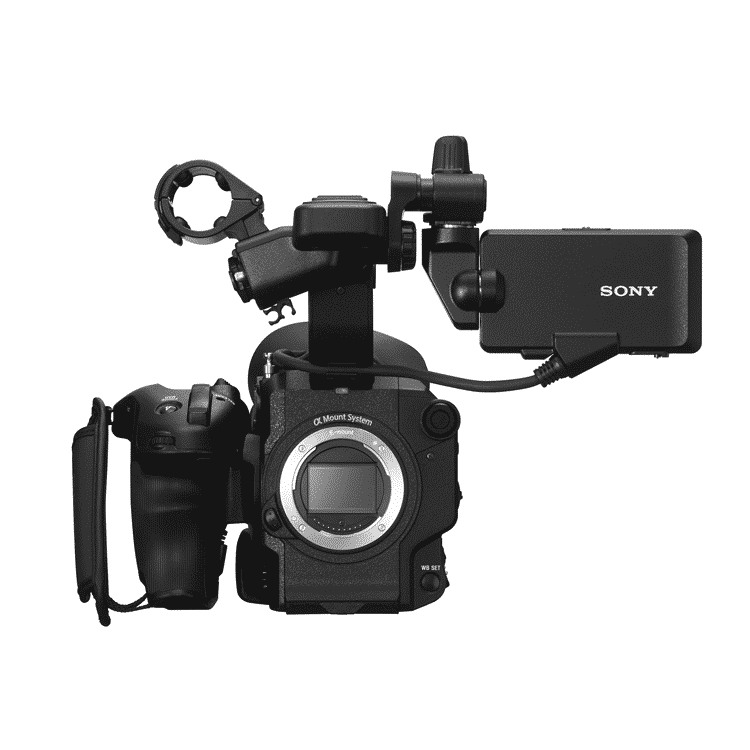 Sony’s Exmor CMOS design provides high-speed full-pixel read-out capability (without pixel binning) and sophisticated camera processing to ensure jaggies and moiré are minimised. Record 10bit 4:2:2 in Full HD at up 50Mbps internally. Record 4K at 60**/50 fps in FS-RAW via a compatible third-party external recorder, such as ATOMOS Shogun and Convergent Design® Odyssey 7Q. All items that are available for purchase online are subjected to availability. For item that are available, a confirmation email will be sent to your registered email to show that your order had been processed and is ready for collection / to be delivered. In the event whereby the item ordered is unavailable, a notification email will be sent and refund will be initiated immediately. Self-collect: Item will be ready for collection at our store once the confirmation email is received. Orders that are made on the Weekends or Public Holiday may take about 2-4 working days to process. Delivery (Local, Singapore): Small items: Delivery will take approximately 3-5 working days (excluding weekends and public holidays) to be delivered upon confirmation of order. Orders will be delivered by Singpost or local couriers. Large / Bulky items: Delivery will take approximately 7-10 working days (excluding weekends and public holidays) to be delivered upon confirmation of order. Orders will be delivered by Expandore. Delivery (Overseas); Shipment will be arranged with our courier partners to be delivered to your shipping address.